Dr. Vaishali Patel was born and raised in India. After completing dental school in India, she moved to the United States to continue her dental studies. Her passion for dentistry led her to complete dental school from the University of Detroit Mercy School of Dentistry with a Doctor of Dental Surgery degree. Soon after, she received a Fellowship in Advanced Periodontics from the University of Connecticut School of Dental Medicine in 2012. During Dr. Patel’s postgraduate training from Rutgers School of Dental Medicine in Newark NJ, she received her Masters of Dental Science and Postgraduate certificate in Periodontics. Today Dr. Patel is proud to be LANAP and LAPIP certified for Advanced Laser Dentistry which is an FDA approved laser protocol for periodontitis and peri-implantitis. She is also a dedicated member of the American Dental Association, the North Carolina Dental Society, and the American Academy of Periodontology. 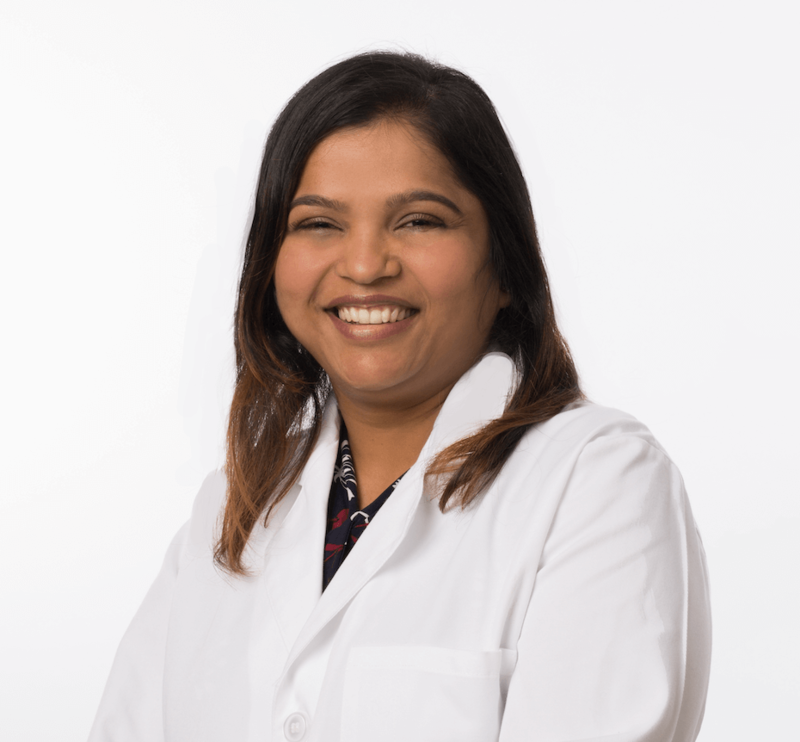 Dr. Patel recently moved from New Jersey to North Carolina and resides in West Cary with her husband and two adorable daughters. Outside of the office, she loves spending time with friends and family, going on long hikes, watching movies, reading good books, and traveling. Received a Fellowship in Advanced Periodontics from the University of Connecticut School of Dental Medicine. Joined Lane & Associates Family Dentistry as a Periodontist in multiple locations.